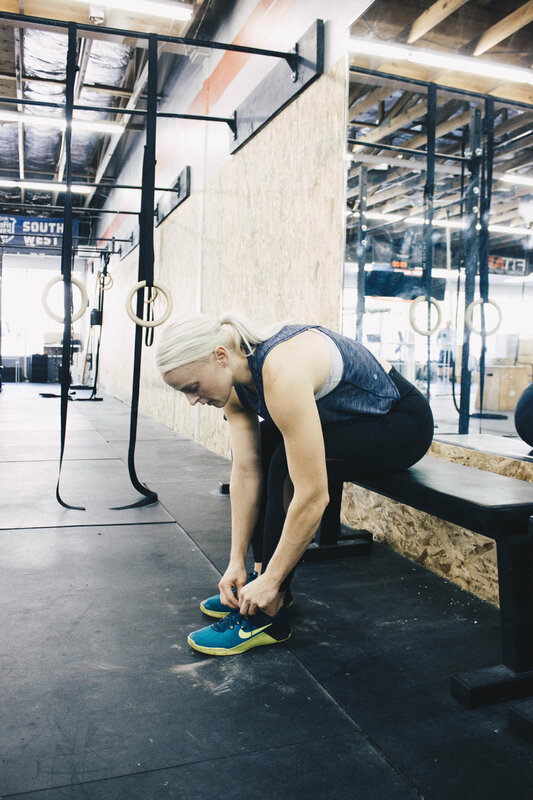 Here are a few ideas that can help squash the self-doubt when first entering the gym and along your fitness journey! Everyone has doubts. Rather than waste energy worrying, recognize that self-doubt can be surprisingly helpful. Don't let negative thoughts overcome your will to succeed. Perhaps you’ll spend more time practicing or maybe you’ll put in more effort when you recognize there’s a chance it might not go smoothly. The more comfortable you get with the process, the easier it gets. There will always be someone who appears to be doing better, getting further, lifting more, or has it all together. Do not compare your accomplishments to others. Everyone excels at different things, and we all have different strengths. Someone else’s accomplishments are not a litmus test to grade your own success! When you get stuck in this head-space, remember that everyone is on their own journey and to compare yours to someone else is downright useless! In addition to setting long-term goals, remember to establish attainable, short-term ones. We talk a lot about this in The Macro Challenge. Small goals can be losing one pound versus an entire 20, finally getting double-unders or more than 10 single jumps in a row. Focus on one more rep. One more push-up. One more minute. Keep track of these accomplishments and your progress! Our challengers will be using our all-new workbook to keep track of their goals, and we can't wait to work towards our goals together! Keeping track of your progress is motivating and helps keep your self-confidence up. Seeing even just the little improvements can go a long way! Set goals for the day, during a workout, or for a week’s worth of WODs (workouts of the day). Continue to chip away each day, week, month, and so on. It’s easy to let doubt creep in when your big long term goals aren’t immediately attained. By achieving smaller goals along the way, you can constantly take reassurance in frequent, albeit small, triumphs! Keep the people who encourage you close and seek out their feedback on a regular basis. Do not be afraid to ask questions or ask for suggestions! As coaches, we want you to achieve your goals and to get there it may be the difference in understanding how to track your dinner out where you don't know the nutrition info or how to handle stress when your to-do list seems unmanageable. Encouragement and support can really make a difference and help you get closer to slaying your goals! That's why we love our private Facebook community for our challengers. A group of like-minded women growing together and working through the process as a team! Wherever you may be on your fitness and health journey, we all go through periods of making plans to reach different goals: a plan to lose weight, get healthy, get in shape or become stronger. In all of these instances you MUST pace yourself. It takes time. Time for your mind to become adjusted to change, heavier weight or moving in ways you never thought possible. So a particular day didn’t go your way or you didn't hit your macros as well as you did last week....sometimes it’s as easy as stepping away and refocusing. Take a rest day, try a different approach, take some pressure off, only track your protein & overall calories, take a week break from tracking entirely, look at your short term goals and reassess. Every day is a new day and you always have the ability to start fresh. The more you push yourself, the more you’ll realize what you are capable of. So what if you do not have push-ups today or next week or even next month! With hard work, practice and dedication, you will get there. You CAN do it, it will just take time. Learn to practice patience. Self-doubt is fueled by thoughts like, “I’m not going to be able to finish,” “I can’t get a pull-up,” “I won’t be able to lift that.” When you find yourself guessing, things will go poorly. Instead, ask yourself “what’s really the worst thing that could happen?” If you do mess up or finish last, would it really be that bad? You are surrounded by others who know the pain you are going through. Fail or not you are encouraged to try your hardest and not give in to self-doubt. Remind yourself that even if things go terribly, you are there, continuing to change and making progress towards your goals. AND most of all, you are not alone! Are you ready to not only conquer your fear of the gym but to conquer your relationship with food? We'd love for you to join us for our upcoming macro challenge! Because we're better together!